Calm your mind, sharpen your focus, and expand your awareness with the power of meditation. 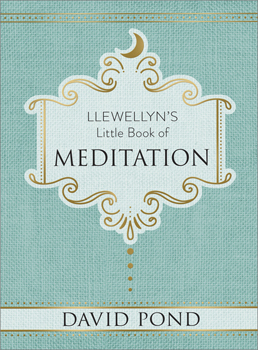 Designed with attractive accents - including rounded corners, a linen-like cover with gold foil impressions, and a two-color interior, Llewellyn's Little Book of Meditation is your ideal introduction to using meditative practices to improve your life. Explore the origins of meditation, the different types and how to use them, how to overcome any difficulties, and more. The fifth book in Llewellyn's little book series, this pocket-sized, hardcover guide is packed with ways to help you develop your meditation practice, including hands-on exercises, tips for working with a specific intention, and instructions for helping children use meditation.